Meetei Community is one of the main tribes of Manipur and North East India and possesses all the characteristic of becoming a tribe living in permanent society. Though, the majority of Meetei population embraces Hindusim/Vaishnovism, they do not give up their age-old traditions, cultures, way of life, etc, of their fore fathers. They have been following the rituals of birth, marriage, death etc in the way their fore-fathers were practicing, even before the time of their conversion into Hinduism during the reign of King Pamheiba(1709-1848). This is again confirmed by the census of India 1931,vol-I page-430, it records “Manipuris” as wholly “Hindu Tribe” but retaining their distinctive language and culture”. Followers of Sanamahism/Meeteism which constitute over two lakhs population also have been strictly following traditions and cultures of their forefathers till date similar to other Meetei Hindus. The fact that Meetei (Manipuri) is tribe/Principal tribe of Manipur and N.E. India is authenticated by many official records, gazetteers, publications, memoirs books, etc. Mention may be made of Census of India 1891, 1901 and 1931; Imperial Gazetteer of Bengal and Assam (1909); Gazetteer of Manipur by Caption EW Dunn (1886), Gazettter of Bengal and N.E. India (1909); Statistical Accounts of the Native State of Manipur, the Hill Territory, under its Rules by Dr. R. Brown, Political Agent in Manipur (1873); the New Encyclopedia Britannica; Ethnicity and Social Change by Prof,. Gangmumei Kamei, among others. History of the Tangkhul Nagas written by A.S. W. Shimray mentions Tangkhuls and Meeteis are descendants of the same progenitor and that ancestors of the Tangkhuls and Meeteis are brothers. The Meiheis” written by T.C. Hodson, late Political Agent of Manipur (an Anthropologist) mentions Meitei as a tribe, so on and so forth. On the other hand, people in the hills, except few thousands Zeliangrongs, almost 99% of the population have embraced Christianity but have abandoned their traditional cultures and ways of life. In other words, the old rituals of birth, marriage, death, etc,. of their forefathers which were in practice before embracing Christianity are no longer in practice. They are living in the way true Christians of the West are living, forgetting the old tradition and culture of their forefathers. 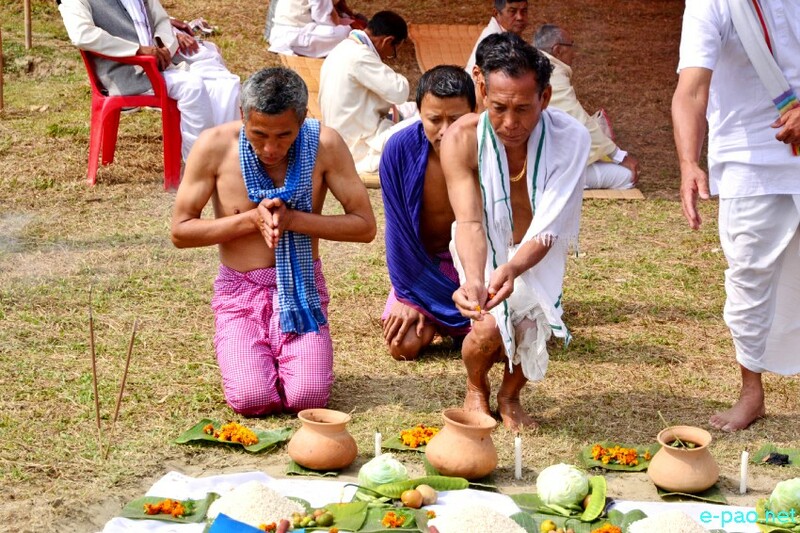 However, in the midsts of strong influence of Christianity in the hills and Hinduism in the valley area of the state, sizeable population of the Meitei and Zeliangrong are still following their all cultures and traditions of their forefathers, in the name of “Sanamahi” and Tingkao Rangwa. That is why, UNO describes such communities, who have been following the old cultures, tradition and way of life of their ancestors as “Permanent Tribal Society”. Again, Meetei being a bonafide indigenous people of the state and following old cultures and traditions of their forefathers are scheduled tribe, according to the Supreme Court of India, the highest Court of the country, as per its judgment(Criminal Appeal No.11/2011(Special) Leave petition No. 10367 of 2010) of 5th, 2011, which state “Scheduled Tribes or Adivasis are the original inhabitants of India and constitutes about 8% of our total population. Had Meetei is been enlisted in the ST list along with our brethren in the hills, without indulging in corruption by the then so called educated people of the state to the visiting members of Minority Commission of the Govt. of India in 1950, the present situation of mistrust and seemingly hill-valley divide among the people in the state would not have been existed but a peaceful, progressive and harmonious tribal society of a hill state called Manipur. We can achieve this status of Manipuri society in near future if the Meetei are given ST status by Government of India under Article 342(1) of the Indian constitution. We should remember that the indigenous people in the state are looked upon as tribes by the people of North East, India and world over except few immigrant STs.